The Grill Hood Thermometer by Tel-Tru has a 2 inch dial face and 2.5 inch long stem. 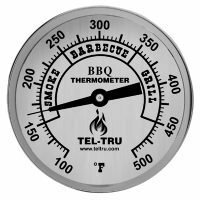 This is slightly larger than the average size of most standard gas grill hood thermometers. 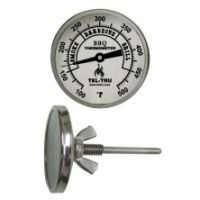 The BQ225 has a temperature range from 100 up to 500 degrees and will easily fit into any 1/4 inch hole, wing nut included. 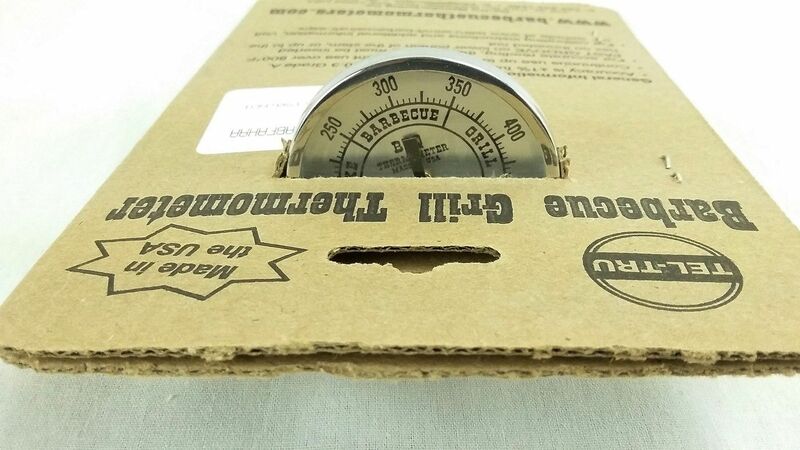 First is the size of the face and the best way to do this is to remove your existing grill hood thermometer and measure across the hole in the bezel that it came out of. 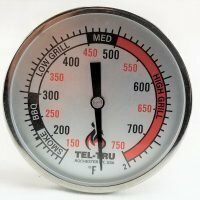 Like most grill hood thermometers this thermometer will not sit flush against the hood and the bezel not only makes it look better it also stabilizes the face. This particular Tel-tru grill hood thermometer has a 2 inch dial face this will fit most grills. 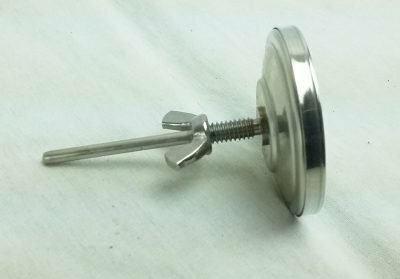 The next thing to consider is the length of the threads on the back of the thermometer. This is to ensure that they are long enough to be able to tighten the nut. when you install the new one. 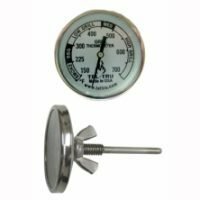 Simply measure the threads on your existing thermometer for this. 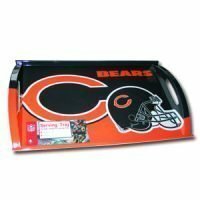 It is acceptable for the threads of your replacement to be long but not short. 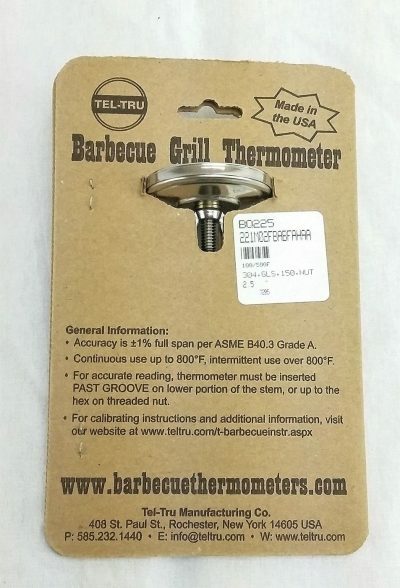 The threads on the Tel-tru grill hood thermometer are just under 3/4 of an inch long. The final thing to consider is the length of the probe. The stem length on this one is 2.25 inches. 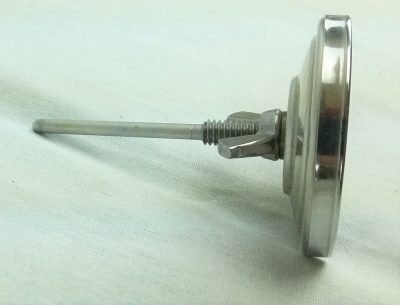 That measurement is from the thermometer back including the threads.